Death Squared (game, 2017). A puzzle video game by SMG Studio. Developed by SMG Studio. Official Trailer. Death Squared is a puzzle video game by SMG Studio, developed by SMG Studio. 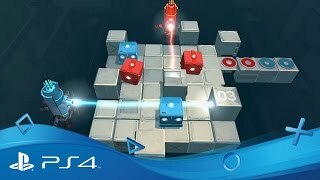 Death Squared | Gameplay trailer | PS4. Death Squared is a cooperative puzzle game for 1, 2, or 4 players, best enjoyed with loved ones who don't mind a little arguing for the greater good. 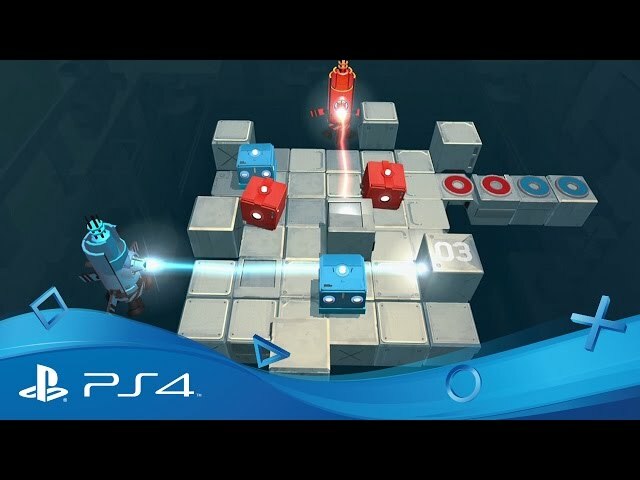 Prove your teamwork skills in Death Squared as you solve puzzles together or die trying! Each player needs to guide a robot to a color-coded goal, but the path is beset with deadly traps and hazards. Teams of players will need close observation and communication to keep each other alive and discover a solution together. Complete the main campaign with 1 or 2 players, then take a group into 4-player Party Mode for the ultimate teamwork trial! For those that can't get enough, head to the 'Vault' to find extra experiments recommended only for the brave. Death Squared was scheduled to be released by SMG Studio on March 13, 2017, on March 14, 2017, on July 13, 2017, on February 13, 2018 and on March 28, 2018. This video game is available for the following platforms: Microsoft Windows, macOS, Nintendo Switch, Xbox One, PlayStation 4, iOS and Android.